‘Fine Decorative Boxes’ [also re-issued as ‘Fine Decorative Wood Boxes’] was written back in 1997 for Sterling Publishing in New York. The process was not a happy one and it went out of print a long time ago. And completely in line with Sterling’s disgraceful handling of this title from start to finish, there’s no record whatever on their website that this title ever existed! But there’s plenty of good material in it and both versions are around on Amazon, books.com, Abe Books and so on. 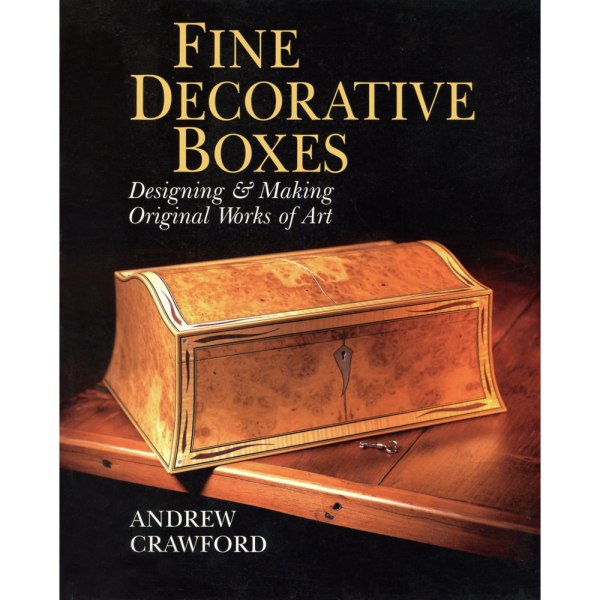 Follow a master crafstman’s secrets for producing elaborately intricate,finely finished decorative boxes – the best tools, the handiest jigs, tips for converting woods, matching veneers and finishes for the look you want,and a host of other instructions. First, see how to use a selection of handtools – you may already have manyof these at your workbench. You’ll want to have chisels in several sizesand types; a variety of clamps; the ever necessary hammer: plus handsaws,knives, a mallet, planes, rules, a scriber, screwdriver, square and thicknessing gauge. Power tools, from a band saw to a drum sander to a router, all eliminate extra work and make it easier to get professional results. Finish your completed work with a lustrous shine, using theextremely detailed instructions for different polishes and types of woods. 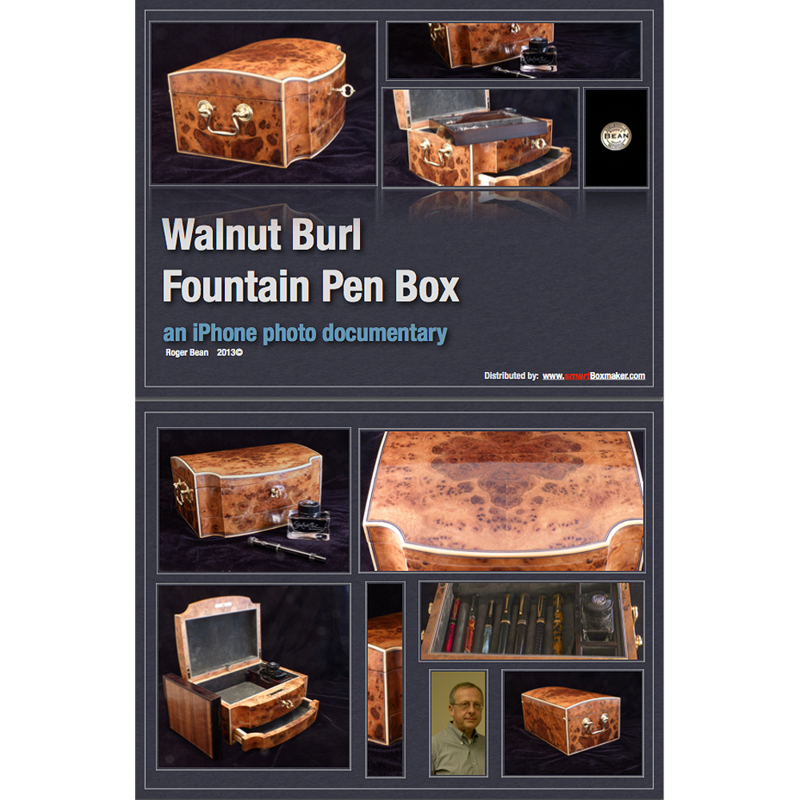 Show what you’ve learnt by making any or all of ten of the most elegant box designs anywhere – all photographed in full color and featuring step-by-step,start to finish instructions. Each one features an unusual technique, a special shortcut or a trick-of-the-trade. Begin with a practical Diskette Box that holds fifty floppy 3.5″ floppies.It has removable dividers and is constructed in birch with maple lipping.Depicate strips of lamianation decorate the box inside and out – and thetips on designing and fitting inlay will serve you well on future projects. An ebony handle makes a beautiful finishing touch. Ready for a game of Backgammon? Play it on a colourful board you’ve made yourself! Here you’ll get one of the author’s valuable secrets: How to produce ‘superply’ an especially strong and stable ply created from birch.Then you’ll have to fashion a template for the shape of the ‘points’ – try doing this in brass which resists damage. If you know someone with pretty baubles, beads and bangles to store, a classy curve-lidded jewellery box with mitred joints is just the thing. A tray lined in silk moiree and cotton velvet holds necklaces flat and untangled, or gives easy everyday access to your everyday wristwatch. The outside lock keeps everything safe. A square stud box is handsome and simple to make, requiring no specialequipment of jigs. Construct the ‘Harlequin’ box in black walnut, with a cheerful and colourful diamond design, flase bottom and feet. And if, when you’re done with these 10 projects, you’re looking for inspiration and ideas to design some of your own, feast your eyes on an incredible array of boxes. These playful, whimsical, astonishing creations – from a wall mounted case for artist’s pigments to a most original teapot -will stir your imagination. 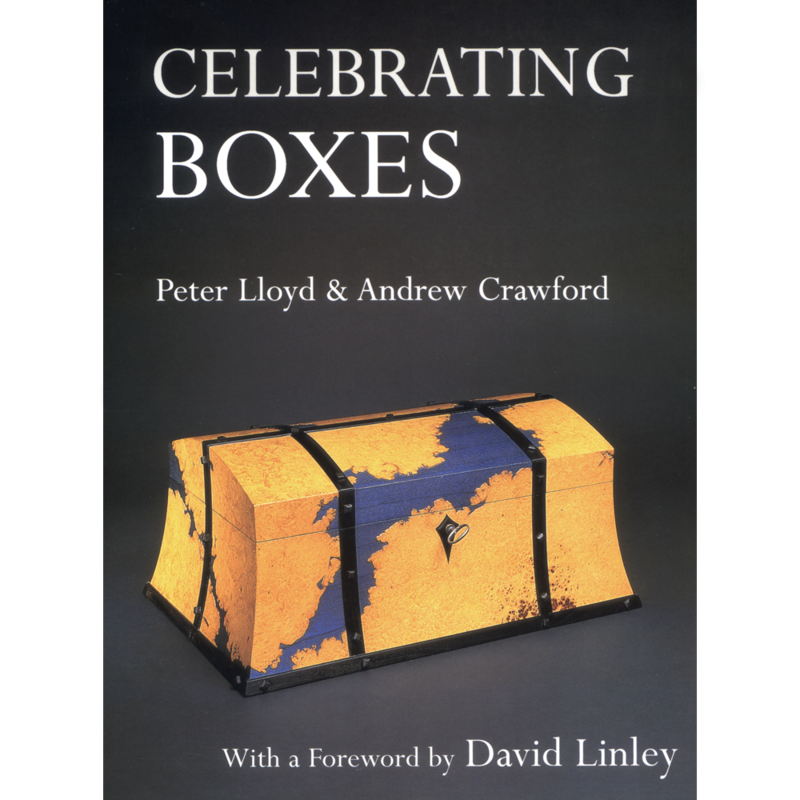 A box will be a box and work more or less efficiently pretty much whatever a mess you make of it – but boxes are difficult to make really well. Just notice the way people look at a box ~ they will go really close up and ‘peer’ and ‘inspect’, whereas, with a piece of furniture the tendency will usually be to stand back and admire. For this reason a great deal of effort needs to go into getting the detail and the finish as good as you can so that a box that you have worked hard on and are proud of will survive this cruel scrutiny! Boxes are like chairs or wrist watches, compact packages full of possibilities. 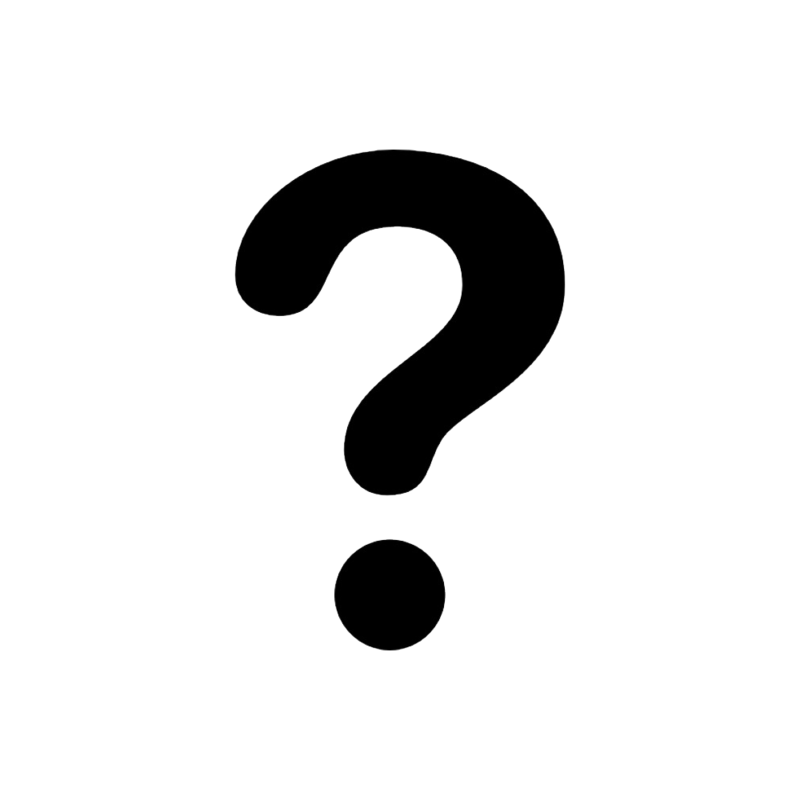 The function each needs to perform is, broadly, always the same but there are an infinite number of different ways of designing and producing them ~ thankfully, no-one has yet [or presumably ever will] built the definitive chair, wrist watch or decorative wooden box. I hope that you will feel free to adapt, adjust, customise, simplify, complicate, improvise on or even largely ignore the ideas I have presented here. Some of the boxes are designed to hold things, some are just designed to be boxes and if you find anything that you can keep in them then consider that a bonus ~ but not everything in life needs to be completely functional! If you want to plan your own from scratch there are two ways of approaching it ~ ‘inside-out’ and ‘outside-in’ ~ depending on whether you have a specific purpose in mind or not. If you are designing a box to contain a certain number of specific items you must design it from the inside out, that is, all the dimensions ultimately derive from the exact size of whatever has to go in it. Accurately draw a representation of the contents in its intended orientation and then take your time carefully drawing in the elements of the box building them up around this taking into consideration all factors such as thickness of the sides, lid and base, lining and so on. An allowance for extra space is important so that nothing is wedged in too tight and even the thickness of veneers needs to be considered when dealing with small items. It can be helpful to construct a mock-up just to check that everything fits as it should ~ a little more time taken making sure the design is right at this stage will save you a great deal later on. 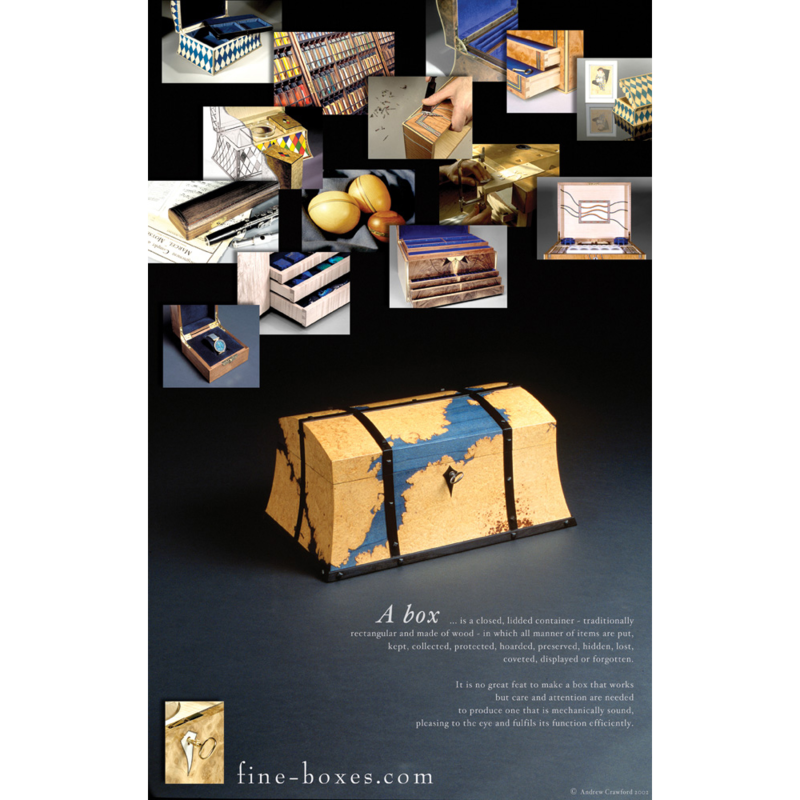 If, however, all you want is a box, then design it purely from the point of view of how you want it to look, there is really no other consideration so long as it doesn’t fall apart ~ you are free to completely ignore all the above restraints and let your imagination take over. As with all true craftsmanship, the combining of these two approaches: careful planning and accurate construction to produce an item that performs its specific function perfectly on the one hand, and making a piece that is artistically stimulating and which appears to be freely expressed on the other, is a goal for all to pursue. How much experience you bring to this book really doesn’t matter ~ I hope that you will find that the techniques are laid out in such a way as to make them accessible by almost anyone. None of these techniques is really difficult but most require Time and Care. 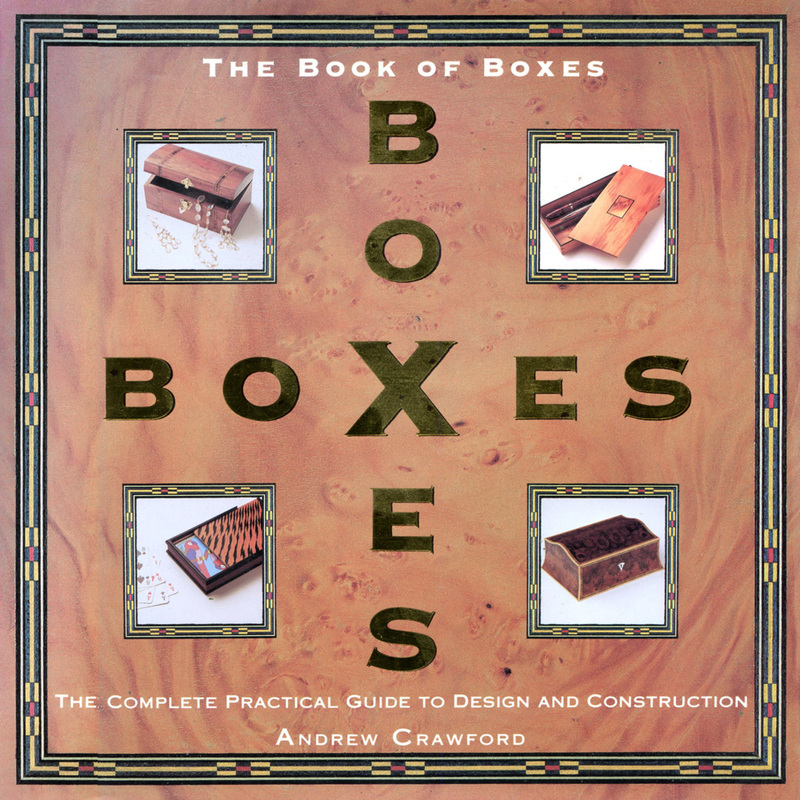 Other important basic requirements for this sort of work are Patience and an Ability To Work Thoroughly and Methodically ~ making even a relatively simple box certainly uses all of these. But, in this day and age of computer technology where almost everything is instant the opportunity to work with this wonderful, adaptable, organic substance and the slower pace that is required to work it sensitively should be welcomed. I have to admit that I occasionally forget to appreciate this and I know to my cost that vast swathes of valuable time can simply vanish due to trying to rush and Generally Not Paying Attention. If you consider yourself to be towards the novice end of the scale then have a browse around the ‘Tools’ section to get an idea of what you may, or may not need [or be able to afford!] You do not need to have a lot of expensive gear [some helps] and neither do you need a lot of space [again, some helps.] Many craftsmen and women produce fine results with astoundingly few sophisticated tools, others seem to use the lot and achieve nothing! A balance is what to go for initially ~ a few good quality basic hand tools and maybe a small bandsaw to start with. Whatever your starting point may be, a novice with just a few tools or an experienced woodworker with many, I hope that you will find this book to be of some value. Thank you so much for a splendid weekend—it exceeded my very high expectations! I am looking forward to using some of the techniques I learnt on some other projects.